Today was my first day of work. It went great and makes me really excited for the future. I'm still getting settled in my new house and becoming used to living in a different part of the country! I've tried to keep little touches of florida in all of my decorating. Learning how to dress in layers! My coach is covered in printed pillows that my mom made w/ fabric I picked! I have about 5 Capri Blue volcando candles; I'm obsessed! 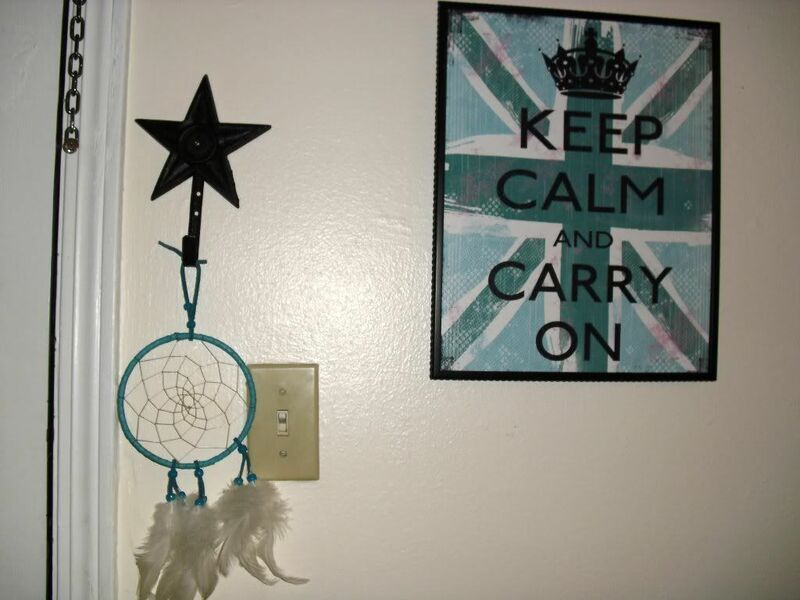 I love seeing this "Keep Calm & Carry On" reminder as I walk out the door every day! 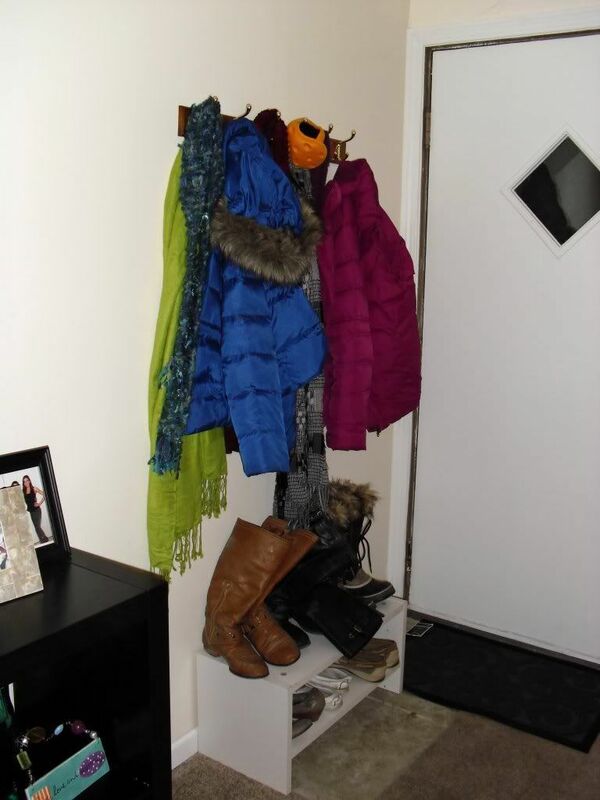 Colorful down jackets & scarves give my coat rack a little bit of life! I've thankfully been keeping very busy unpacking and decorating my place and trying to make myself feel at home in new surroundings. Thanks for all the support from family/friends/bloggers! Looks as though the midwest is doing you well so far! and I noticed you have INFLUENCE - the mka book! isn't it fantastic! It looks fabulous! Hope you are loving it! 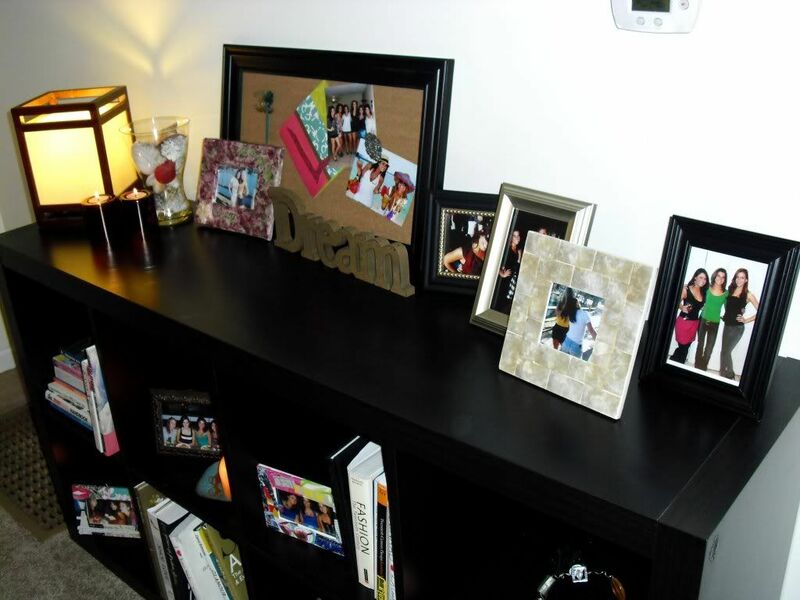 It can be hard moving to a new place, but often those situations turn into places that you never want to leave! 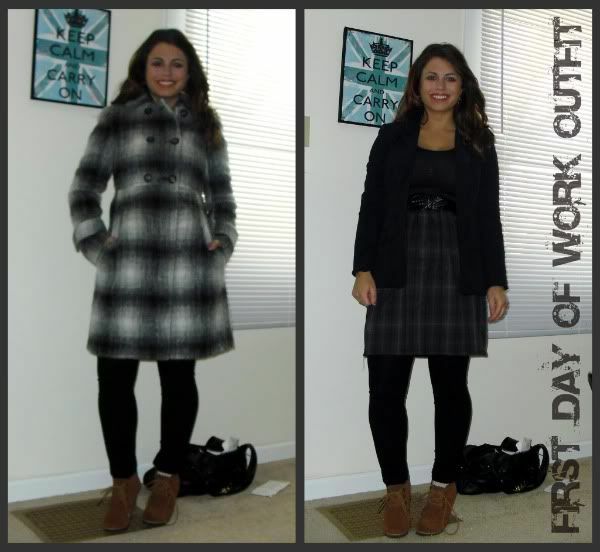 I love your first work outfit!! Totally chic. Hope you are settling in now, and getting adjusted. A move always takes a little time for everything to feel like home. 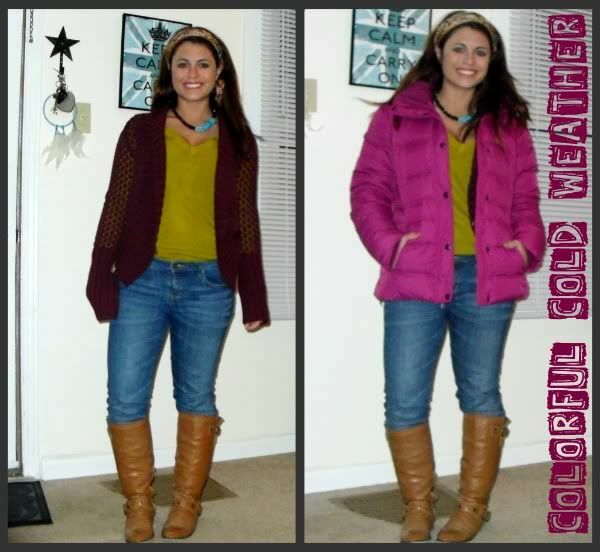 Lauren I adore your cold weather chic outfits and your bachelorette pad! I hope everything in your new surroundings treat you well! Glad to see you're settling in! The apartment looks really cool. I love how you've decorated it. Also loving the outfit. The first one is amazing. I love the colours. Love seeing pictures of your new life! You look so happy. I love the outfits and fashion shelf. I especially love that red sweater! i love the keep calm, carry on poster! I love everything about this post, dear Lauren! So happy that you're settling in and acclimating to the temperature change (in such a stylish way!). 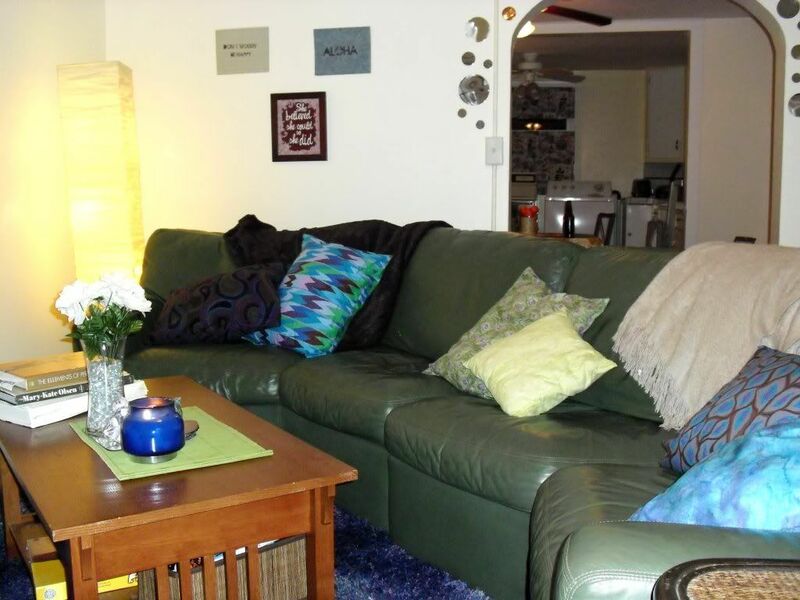 Your house is adorable, and I love all the little touches you've made to make it more home-y. Congrats on the new job - I hope your first few days have been absolutely perfect! 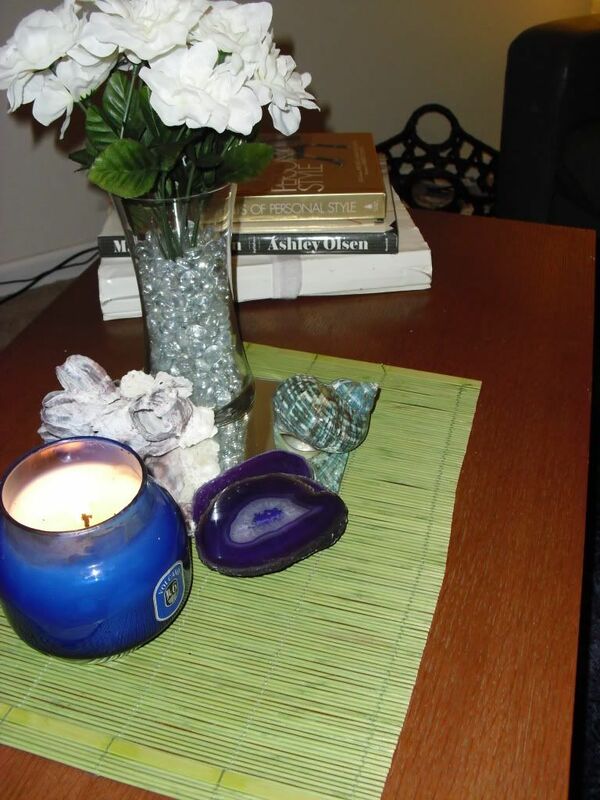 Valentine's Day: Love & Loving Yourself!